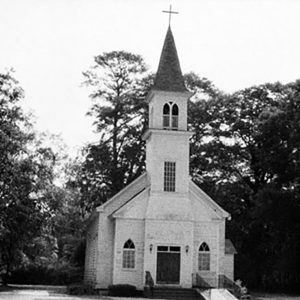 St. Peter’s African Methodist Episcopal Church was formed in 1867 under the leadership of Rev. James Nesbitt. This building, a Gothic Revival wood frame structure, was constructed around 1870. It features Gothic windows and a tower with an open belfry. It is part of the Walterboro Historic District.